Who should test their DNA? 1. Interest in your ancestry. 2. Interest in and desire to improve your health. If you want to feel better and are motivated to improve your lifestyle, then genetic testing will be helpful to you. This is even more true if you have health conditions that have been difficult to treat or if you are interested in treating your health problems without prescription drugs. In addition, NDS reports are very popular with people who have a 23andme.com or Ancestry.com test, but want to have a DNA analysis that gives them tools for maximizing their genetic potential. 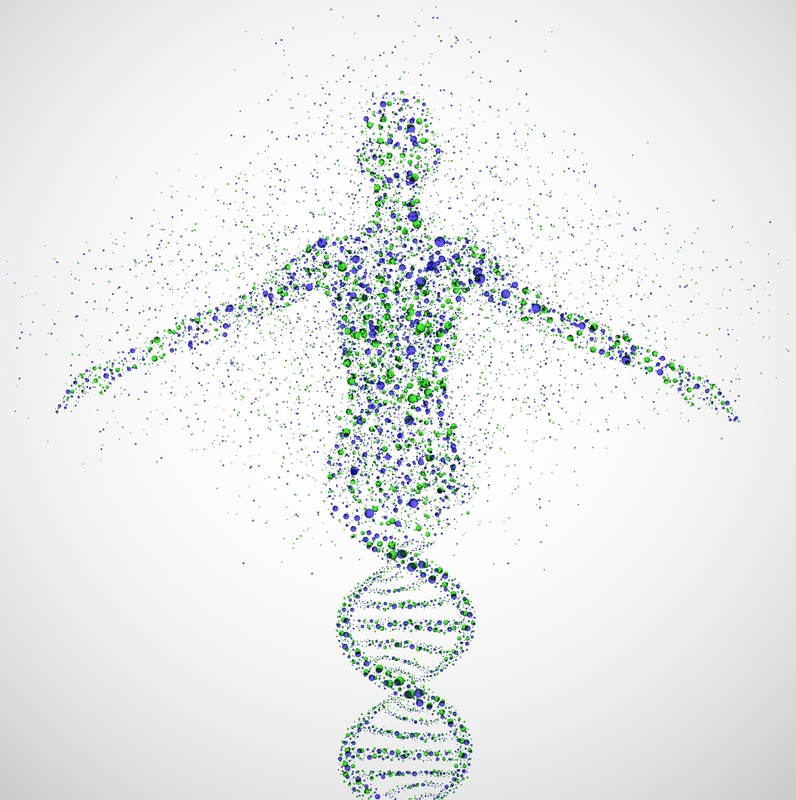 Medical genetics allows you to personalize your health. We in the natural medicine field have advocated personalized medicine for over 100 years. This is what whole-system (holistic or wholistic) medicine is all about. It's about you as an individual and how you respond to the world you live in. Your response to the environment (food, exercise, toxins) manifests as signs and symptoms. Signs are internal changes like high blood pressure, sugar and cholesterol. Symptoms are outward sensations such as headaches, heartburn, and fatigue. These are not diseases; they're changes your body makes to cope with its environment. As an example, psychological stress will raise cholesterol because your body needs that cholesterol to make more stress-coping hormones such as cortisone. Whole-system, personalized medicine says you're more than a bundle of signs and symptoms requiring drug therapy. Drugs treat signs and symptoms. Personalized medicine treats the underlying causes of your signs and symptoms. Nutragenomics, for example, is the combination of genetics and nutrition for optimizing health. The age-old debate in health is "What is more important; nature or nurture?" How much of our health is dumb luck - what we were born with - and how much is determined by how we take care of what we were born with. The informed answer has always been "50/50." Has the reading of the human genome changed the answer? No. Knowing more about DNA doesn't change the equation. We're still a combination of our nature (DNA) and our nurture (lifestyle). We know from studies on twins that although their genes are exactly the same, where and how they live greatly influences their health. According to Fulbright scholar Yousseff Idaghdour, “… people with the same genetic makeup can be in different environments and have different expression profiles," “Expression profiles” is another way of saying phenotype which is another way of saying who you are; how your genes have interacted with the world and manifested themselves. Knowing your genetic makeup provides a tremendous amount of information on your "nature"; what you were born with, but your genes are turned on and off by your lifestyle - diet, exercise, stress, and toxic exposures - how you nurture your nature. The current equivalent of this is "Why should I test my genes when there's nothing I can do about them?" The research, however, shows there are many strategies for optimizing your genetic advantages and minimizing your genetic risks. Nutrition and toxins modulate genes - turn them on and off. This is the science of epigenetics. By knowing your specific genetics, you can be more specific in your health strategies. If you know, for instance, that you have a greater likelihood of high blood pressure, then the obvious recommendation is to monitor your blood pressure (BP). That's a no-brainer. If your BP became high, then the drug approach would be to take a drug that lowers BP without regard for the underlying cause. The personalized medicine approach, on the other hand, would be to ask why your BP is high. There are a number of genetic mutations that predispose you to high blood pressure. The value of knowing which mutations you have is that specific strategies can be utilized to counter those mutations. Perhaps you have a mutation of a gene affecting your vitamin B-12 levels or liver detoxification or stress hormones. By taking actions that modify these mutations, you can overcome your high BP and promote other positive changes in your body (because B-12, liver detoxification and stress hormones have multiple influences on health). Of course it's possible to have high BP without genetic factors. In this case, your high BP is from how you live your life and is firmly in your control. Why not take my 23andme or Ancestry.com genetic data directly to my doctor? Most doctors are not trained to understand raw DNA data. There’s too much DNA data to read through and interpret, even during an hour appointment. (It’s analogous to having a blood test done every month for 20 years, each on a different piece of paper and in random order, and expecting your doctor to make sense of it while you sit there and wait). Far better to have the sorting and organizing done before your appointment so your doctor can concentrate on you. That's what a good genetic health service does. When you consult with your doctor about your DNA analysis it becomes part of your medical record. Some people prefer to not share this information with their insurance company which has the right to look at your medical record at any time (it’s in your contract). For full detail and purchasing options, go to the Purchase report page. go to the Health Providers page to receive your discounted price.